I can attest that guys are unlikely to want to have anything to do with such a product, but just be sure you don't use it in public. 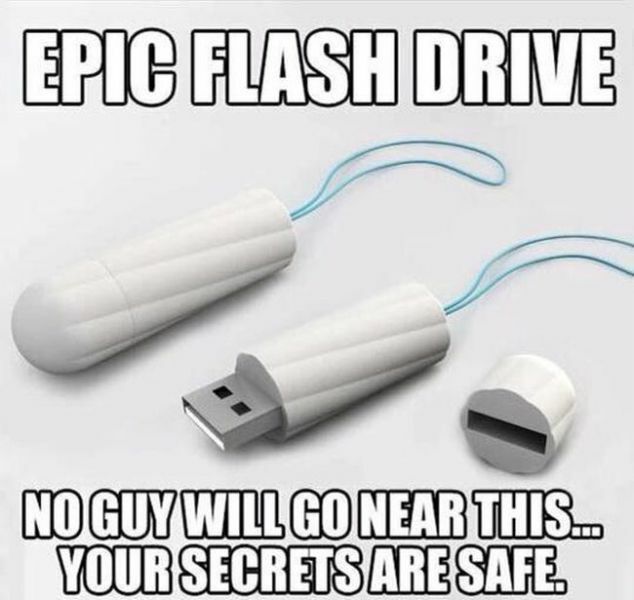 That may sound weird but people do use their computers in public these days and you'd blow your flash drive's cover if people saw it stuck into one of your laptop's USB ports. Remind Me Again Why We Dressed Up Like Food?